A beautiful smile is always in style. At Kingsview Dental Calgary, we do our tiny bit to make sure you keep looking beautiful all through your life. That’s why we have an efficient, effective and comprehensive set of services, dedicated to take care of your dental health. We are located at the Beltline Calgary SW. Dental health like our general health is important and imperative. And a meticulous, routine oral care not only keeps you bright and smiling, but also reflects in your personality and confidence. That is why, our dentists work hand-in-hand with you to help you understand the current state of your oral health, provide information about improvements and educate you about how to minimize future intrusions. 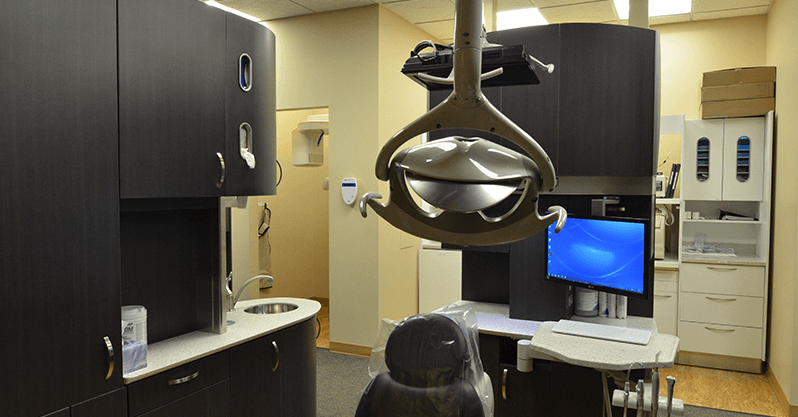 We at Kingsview Dental Calgary also realise that a patient feels reassured when the visit to a dental clinic is less intrusive, more comfortable and less frequent. Our team works with the patients to ensure that their dental problems are not just fixed but their visit is made as contented and relaxing as possible. So to keep that bright, healthy, charming smile alive, always visit a dentist from time to time for a regular check-up. This will always improve your dental health and will minimise discomforts, pains and the strains of bad oral health. 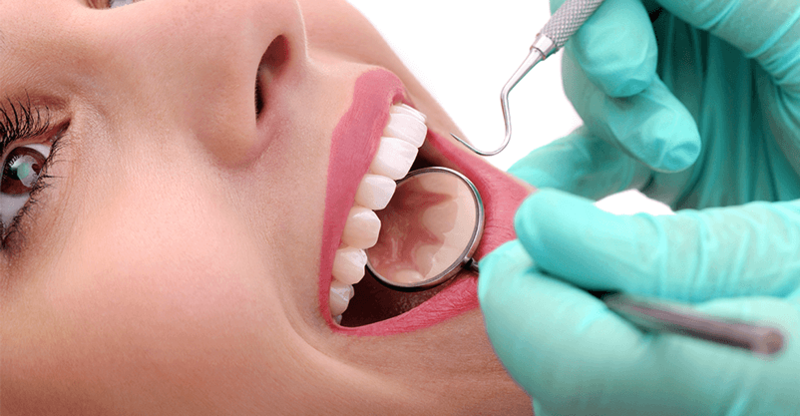 If you are thinking that you want to improve the health of your smile then book an online appointment at Kingsview Dental Calgary and get dental services and treatment customized for you. Dr. Patel successfully completed her Bachelor of Dental Surgery in 1998 from the Government Dental College & Hospital in India. She worked as a dentist in India for 6 years. Dr. Patel came to Canada in November 2004 with her husband and four year old son. To gain firsthand experience in the dental field in this part of the world Dr. Patel wrote her dental assisting challenge exam and started working as a dental assistant. To further her education and career she took a 2 year dental hygiene program at Toronto College of Dental Hygiene and Auxiliaries and got her dental hygiene diploma, with high honors, in 2007. After working as a dental hygienist for 4 years Dr. Patel joined the dentistry qualifying programme at Dalhousie University Halifax in 2012. While attending dentistry school at Halifax Dr. Patel successfully completed the equivalency process for foreign trained dentist in July 2012. Dr. Patel’s dental philosophy is aimed towards prevention and patient education. She believes in conservative and long lasting dentistry and looking after the best interests of her patients. Dr. Trang Vo was born and raised in Calgary. She studied Biological Science at the University of Calgary for three years before attending dental school at the University of Alberta in Edmonton. She completed her Doctor of Dental Surgery degree in 2013, and has been practicing in Calgary ever since. She enjoys all aspects of general dentistry, and focuses on providing gentle, compassionate care. She makes it a priority to ensure all of her patients are comfortable and at ease while receiving high quality treatment. In her spare time, Dr. Vo enjoys being active. She loves tennis and tries to play at least few times a week. Dr. Saran began her graduate studies in Calgary, where she was raised, attending U of C to complete her bachelors of science degree. She then stepped into dentistry overseas where she obtained her bachelor of Dental Surgery from Manipal University. Following her return, Dr. Saran, earned her doctorate of dental surgery from the University of Toronto faculty of Dentistry. She has recently moved back to Calgary, and is excited to be back home. 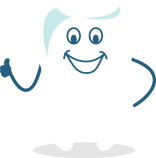 Dr. Saran has a passion for dentistry and aims is to provide comprehensive, and patient focused dentistry. She enjoys getting to know her patients and taking time to carefully explain available options and answer any questions that may arise. When away from the office, Dr. Saran enjoys swimming and spending time with family and friends. Natalie Choma was born and raised in Edmonton where she attended the University of Alberta. In 2008 she graduated with a diploma in Dental Hygiene and 2011 with a Bachelor of Science specialization degree in Dental Hygiene. After graduation Natalie worked in Edmonton for a few years before moving to Calgary in 2010. Natalie’s passion for helping others led her to a career in Dental Hygiene. She is a strong advocate for patient-centered care and preventative dental treatment. She enjoys working with patients of all ages and strives to provide them with a comfortable and positive dental experience. Natalie is dedicated to providing the best care for her patients by furthering her skills and regularly attending continuing education courses. In her spare time, Natalie enjoys mountain biking, yoga, cooking, traveling and running at the dog park with her dog, Otto. Hee Joo is a member of the College of Registered Dental Hygienist of Alberta. After a year of working as a dental assistant, she decided to pursue a career in the dental hygiene field in hopes of providing a more specialized care to her patients. She graduated with an Honours from George Brown College in Toronto in 2017 and recently relocated to Calgary. She continues to advance her skills by learning and implementing new techniques to provide client-specific care to the patients. She is responsive and respectful towards individual patient preferences, needs and values. She has a passion about patient’s education to improve their oral health. In her leisure time, she likes to do Pilates, learn new languages and travel. on same day or as soon as possible.